Sen. Ricardo Lara recently proposed a constitutional amendment that aims to give the California Legislature unparalleled control over the UC system, putting the UCs under the same laws and oversight as California state universities and community colleges. A similar bill was proposed in 2009 and failed, but the recent approval by the UC Regents to increase tuition pushed two lawmakers to reintroduce a new bill to the forefront of California’s concerns. If voted on in 2016, the bill will strip the UC of its autonomous status and give legislators veto power over decisions made by the UC Board of Regents, such as tuition and executive pay increases. While the bill would not afford legislators the ability to make decisions on behalf of the UC Regents, it would make them the final authority on these choices. The bill needs a two-thirds majority to pass in both the state Senate and the Assembly but needs no signature from Gov. Jerry Brown. Once passed by Congress, the bill would go to a public vote and would require a majority vote to pass. The new proposal would create a more accountable decision-making process and politicians would be further involved in wrestling with an issue vital to California’s future. The UC Regents are unelected officials appointed to 12-year terms by the state governor. They’re unaccountable to the students they are supposed to serve and make decisions despite hearing the public’s concerns and struggles. In addition to this proposal, the Assembly speaker Toni G. Atkins (D-San Diego) announced this week that the UCs will now be subjected to a public line-by-line review of its budget starting next year. The fact that this review will be just “starting next year” is concerning and speaks volumes to the current system’s failures. 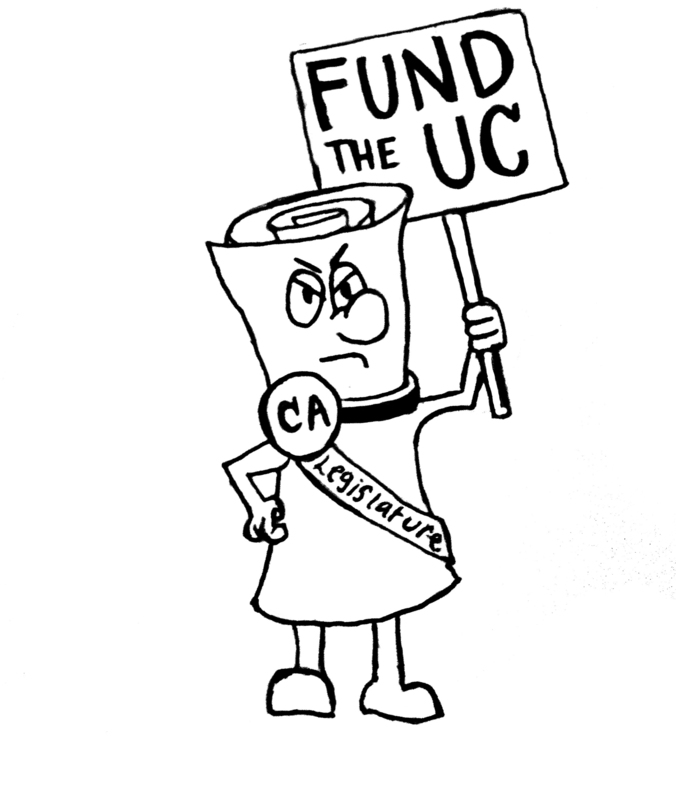 It’s absurd and undemocratic that taxpayer money funds aspects of the UC yet the masses have no input in how the money is spent. If passed, the bill must follow through in ensuring that students across California stop paying an increasingly higher cost for their fundamental right to education that is currently leaving many students excluded from higher education or in debt. If the lawmakers of the state of California take back the authority over the UC with this bill, legislators must maintain the bill’s intentions. Tuition increases and executive raises can and should be prevented. We can’t be sure if elected officials will be more responsible with the future of higher public education. Yet, if this bill passes, we hope the state remembers the needs of the students it serves to prevent a generation of financially burdened students. While educating future generations is on taxpayers, their money is in the hands of the UC Regents, who have not been faithful to those taxpayers. This bill will give the final say to elected officials to make sure decisions are made to better the current education system. More power concentrated in the legislature doesn’t guarantee increased accessibility of education, but at least the public can hold them accountable through the power to vote. We must put the power back into the hands of the state to ensure that taxpayer money for higher public education actually goes to the UC system.